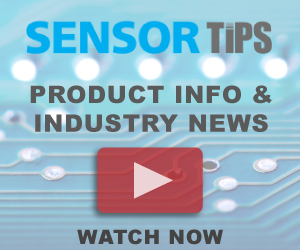 What’s new in microcontrollers for sensing? How does analog to digital conversion impact sensor accuracy? At Sensors Expo 2016, John Geis from IDT explains an environmental sensor demo board with gas, temperature and ultraviolet sensing. For more information, click here. At Sensors Expo 2015 in Long Beach, CA, John Austin, senior product marketing manager from the Analog and Interface Products Division of Microchip Technology discussed the capabilities of the MCP9600, a thermocouple conditioning circuit with numerous features to simplify the use of the ubiquitous thermocouple. For more information about the MCP9600, click here.